I started writing this post in the air (again!) to regain composure in the middle of a nightmare journey. I can hardly read what I wrote as my handwriting was severely compromised due to turbulence. I think this is the last time I will fly with Turkish Airlines; it hasn’t been the best of days. Having left the guesthouse in Kathmandu before 6am I joined a long queue even to enter the airport terminal. Eventually reaching the check in desk I learned that the flight was 2 hours late so I would miss my connecting flight from Istanbul to Gatwick. With my trusty 20 year old suitcase I hovered near the desk for another hour whilst they made enquiries before telling me that the next available flight would be tomorrow. As I have only 72 hours before flying to Uganda I was a bit fed up. Having finally boarded the delayed flight, we had an aborted take-off attempt with little explanation. There was an alarming squeal of brakes and a juddery slew to the right and we sat on the tarmac for a further 10 minutes before taking off. I later found out that another plane was coming into land and we were about to collide head-on. At this stage I wasn’t sure what had happened and worried that there was a technical problem with the plane, so spent much of the flight hoping all was well. Together with the persistent turbulence and the unpleasantly fragrant and unnecessarily loud French speaker next to me, I was enormously grateful to touch down in Istanbul unscathed. Sitting at the back of the plane I was one of the last to alight so also had to join the back of a very long queue at the transfer desk. Thankfully the RCM travel agent’s 24 hour helpline was fantastic and assured me that there were seats available on a flight to Heathrow later that evening, so not to be fobbed off by the airline! I am mightily relieved to be in possession of a boarding pass for that flight and to now be sitting in a comfy, if busy, lounge enjoying European-speed wifi, a nice cup of tea and a bowl of tomato soup. Many Facebook friends advised me to enjoy a night exploring Istanbul but as a female travelling alone I didn’t feel that confident and a nasty assault in the Turkish mountains in the 1990s has somewhat put me off the country. I’m sure it’s lovely and all that, but I’m happy to be going home. Today’s experience has confirmed that indeed Kathmandu has one of the worst airports in the world! It has been an emotional trip to Nepal, though with similar missions to Uganda next week and Cambodia in March I have had to keep myself focused. I feel so blessed to have such special friends across the world; passionate women (and men) dedicated to making their country safer for women and babies as they ‘cross the river’ (a Cambodian expression for childbirth as it’s so dangerous; like crossing the River Mekong in full flow). Regardless of whether or not we are successful in getting continued funding for our project, I know these friendships will be sustained long-term, helped by social networking, e mail and Skype that were not available ‘back in the day’ when I had a similar job in the 1990s. 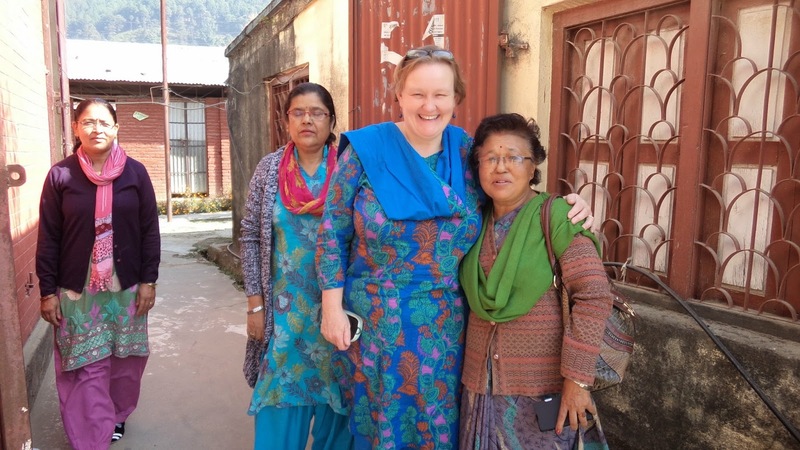 There are many successes to celebrate in Nepal at the close of The RCM’s Global Midwifery Twinning Project. We have truly established a solid twinning relationship with the midwifery society of Nepal and this gives a firm base for any future endeavours. We also know, and have a working relationship with, many of the key players in Maternal and Newborn Health in Nepal and are well-placed to develop further collaborative partnerships. A special thank you goes to UNFPA Nepal for their welcome and support at every stage of our project. Any success we have had owes much to their partnership. There is now wide consensus that Nepal needs midwives and needs them now. I remain hopeful that midwifery education and regulation will be established in Nepal in the next couple of years. Agencies are signing agreements to work together to expedite this and partnership can only strengthen everyone’s efforts. Curricula and standards are being developed, albeit frustratingly slowly. Various agencies, including ours, are helping to develop practice sites where midwifery students can the learn the skills and ways of being as midwives rather than as nurses. Centres of excellence are opening, such as the Mangala Devi Birthing Centre, where our own UK member midwife volunteers have played a key role in its naissance. Thanks to our volunteers many groups of educators, students and nurse midwives have seen midwifery care in action and benefitted from continued professional education in maternal and newborn emergencies and many other topics. Pregnancy yoga was very popular! MIDSON, and its newly formed young midwives group, have developed a higher profile in Nepal with MIDSON leading events such as celebrations for International Day of the Midwife, a valentine’s day ‘love parade’ for women’s reproductive and sexual health rights, midwifery outreach camps and coaching more than 3000 nurse midwives, a community midwives’ clinic and national and international presentations and conferences and a raised media profile. The association has more members than 3 years ago and stronger links are being formed with womens’ and civil society groups as well as other health professional societies. MIDSON now has a stratetic plan for the next three years and has leaned many organisational development skills in addition to the organisation of workshops and conferences. Though the Global Midwifery Twinning Project cannot take the credit alone for these achievements, I believe we have played an important role in many of them and am proud to have played a small part in facilitating this. Over the past week I have taken many video clips of the project’s beneficiaries explaining how GMTP has helped them organisationally and personally and it’s been really encouraging to hear. However, there are also many frustrations. As in many countries, progress towards establishing this life-saving profession in its own right has been hampered by politics and power-struggles, coupled with a natural fear of change and the unknown. Women and babies will continue to die until society believes their lives are worth saving. In addition to the ‘three pillars’ of midwifery (education, regulation and association) I was reminded this week by Della Sherrat, an influential international midwife, that midwifery workforce and retention policies are also crucial in establishing the profession. Perhaps there are five pillars after all! I'm finishing this having finally reached home and hoping that my luggage will follow me soon. I hope to blog again from Uganda and Cambodia in the next couple of weeks. Thank you for your interest. I’m writing this from 37,000 feet aboard a Turkish Airlines flight to Kathmandu via Istanbul. It’s been such a hectic run-up to this series of international travel that I fell asleep as soon as I boarded the plane! 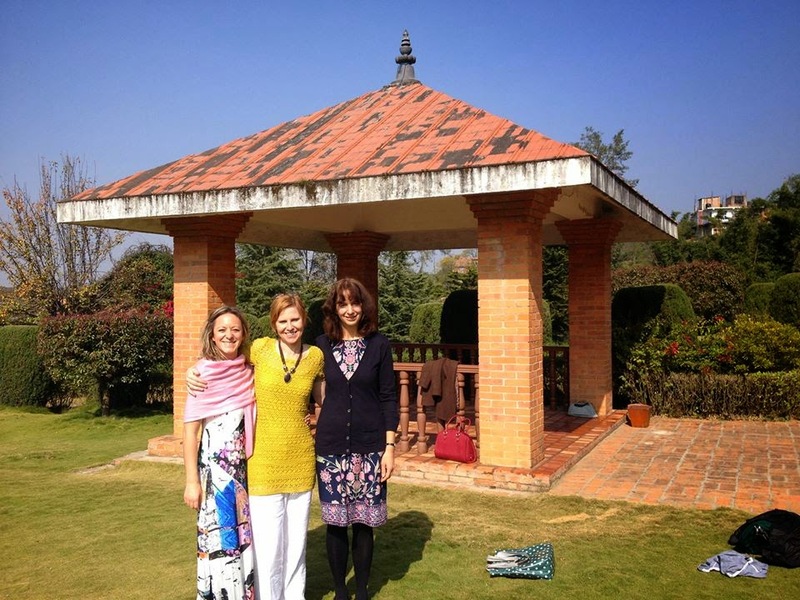 I feel excited to be visiting Nepal again; reconnecting with fellow midwives at the Midwifery Society of Nepal and other friends I’ve made through my role as Global Professional Advisor with the Royal College of Midwives. However, this trip is also tinged with sadness as it will be the last time that I visit Nepal with the Global Midwifery Twinning Project, at least for the time being. Our project finishes in 31 March 2015 and the past few weeks have passed at an exhausting pace as we strive to ensure that the project finishes well, our inputs are sustainable and we produce high quality evidence for the impact our twinning programme to ensure that we have the best chance of attracting further funding for follow-up work. I’m so grateful to have been joined at the RCM by Eleanor Shaw, our Global Administrator, who recently completed her Masters’ Degree in African Studies at SOAS and shares my passion for global health. We’ve been learning a lot from each other; through Eleanor I discovered the feminist library in London which was a revelation! Since returning from my last three overseas trips in November 2014 we have been really busy. We’ve commissioned an external evaluation of the project by Jane Salvage an experienced consultant in Global Health who has done other high quality pieces of work for the RCM. Jane started work last Monday and we have been working hard to collate the enormous amount of data generated by our project (reports, reflections, logs and other outputs) so that Jane has access to these in one place. In addition to assimilating all this information Jane will also be conducting interviews with our twinned partners and stakeholders, our own staff and our volunteers, helping us to understand the impact of the project and how best to move forward. She will present her findings to the final project board meeting on 30 March. We've also commissioned a small piece of research to explore the reciprocal impact of the Global Midwifery Twinning Project in the UK. Between November and January we were also preparing, supporting and debriefing our last cohort of volunteers who went to Cambodia, Nepal and Uganda for 3-4 weeks just before or after Christmas. Our final debriefing day was on 3 February and it was very exciting to hear our volunteers present about the fabulous work they have been doing, with their twins, in strengthening midwifery education, regulation and associations in all three countries. 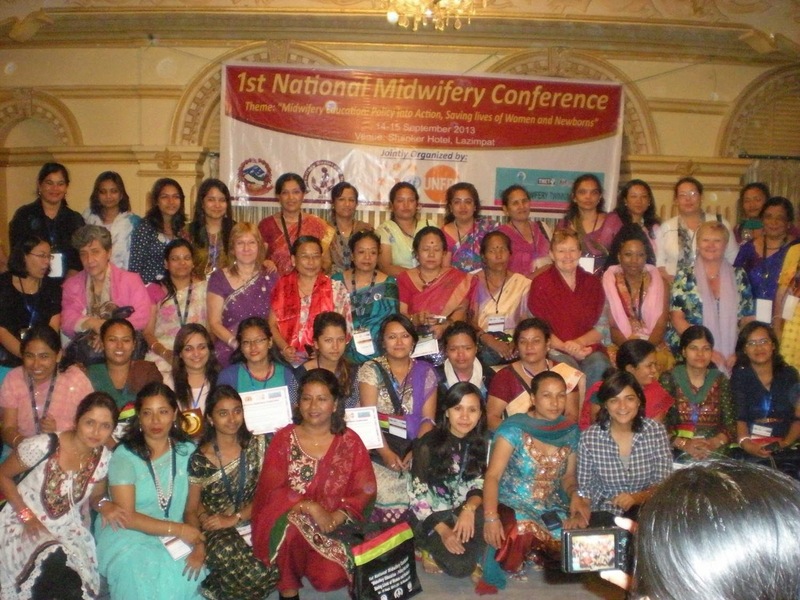 Their outputs include the development of new curricula and assessment tools, up-skilling midwives and midwife teachers, supporting the development of centres of midwifery excellence such as the Mangala Devi Birthing Centre in Nepal, and helping the professional midwifery association with strategic planning, advocacy and sustainability. In addition to these activities we have been developing the global section of the RCM website to provide a user-friendly platform to showcase our projects and resource members who are interested in global health. We’re working with our education team and Dr. Gaynor Maclean (author of the great book Tiger Stripes and Tears) to develop a new e-learning resource on global midwifery so that midwives, students and others can take on-line modules via the RCM's i-learn platform to help prepare them for electives and international placements and understand the wider picture of maternal and newborn health across the world. We’ve also been planning a one-day conference in Edinburgh on 5th May to celebrate International Day of the Midwife. and 100 years of midwifery regulation in Scotland (my Granny was a midwife in Scotland in the 1930s so especially poignant for me!) Tickets sold out overnight so we’re hoping to be able to free up some more places – watch this space! 2014 was a great year for global midwifery with the publication of the Lancet Midwifery Series of papers, the State of the World's Midwifery 2014 report and various other key documents supporting investment in midwives as the best-buy in public health. This conference will bring together world-renowned speakers together with our own global team and volunteer midwives to highlight both the needs and opportunities for midwives in a global context. Lastly, we are looking for opportunities to present our work and develop further partnerships so we’ve been submitting abstracts and bids and networking widely. Never a dull moment in the global team! I’ll be in Nepal until 21 February then in Uganda and Cambodia in the next few weeks. I look forward to posting some further (and probably shorter!) blogs from around the world. Meanwhile, thanks to everyone for your support, especially my husband Stephen and daughter Hannah for looking after our dog Cracker and keeping the home fires burning. Namaste!